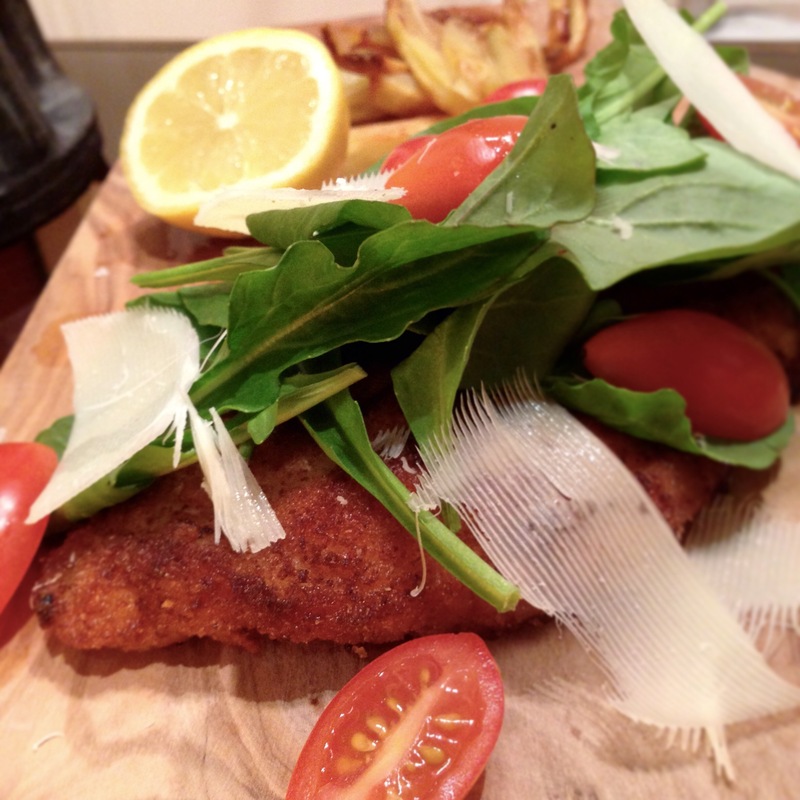 The term ‘escalope’ originated in France, and refers to a slice of meat that has been thinned using a mallet. We offer a hack that will make cooking this classic favorite even easier. Double the recipe and freeze the remainder for a quick meal the whole family will love—and with much more identifiable ingredients than frozen chicken nuggets. Marinate chicken tenders in milk, crushed garlic, salt & pepper. Cover and refrigerate for 1 hour. Remove chicken tenders from marinade, and press very firmly into breadcrumbs so as to flatten out chicken and allow the breadcrumbs to stick to the chicken well. Turn chicken over and repeat. Melt butter & oil over medium heat. Increase heat to high once melted, and add chicken. Cook on high for 2 minutes, then decrease heat to medium-high and continue to cook for another 2 minutes, taking good care not to overcook. Flip to other side and cook for a final 2-3 minutes or until a nice, golden-brown layer has formed. Remove from pan and place on paper towels to allow excess cooking fat be absorbed. Serve & top with spinach, halved grape tomatoes, and parmesan cheese slices.